Great location, loved having a kitchenette, big room with nice balcony. 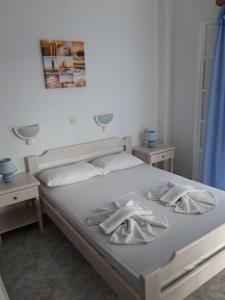 The studio was Well situated close To the beach and the town of antiparos. The owner was very helpful, professional and kind. Close to main street and beaches. Sophia (hostess) was helpful. Posizione centralissima ad un passo dal porticciolo e dalla parte più animata del paese ma nello stesso tempo defilata e silenziosa, perfetta. Estrema disponibilità e gentilezza dei proprietari. Grande attenzione alla pulizia che viene effettuata ogni giorno. Ήσυχη τοποθεσία, πολύ κοντά ωστόσο στον πεζόδρομο, 3 λεπτά με τα πόδια απο τα μαγαζιά-μπαράκια-φαί. Φιλόξενοι, χαμογελαστοί και ευγενικοί οικοδεσπότες. la vicinanza al centro, al porto e il parcheggio sotto casa. Το προσωπικό ήταν φοβερο! Μακάρι όλοι να ηταν το έτσι! 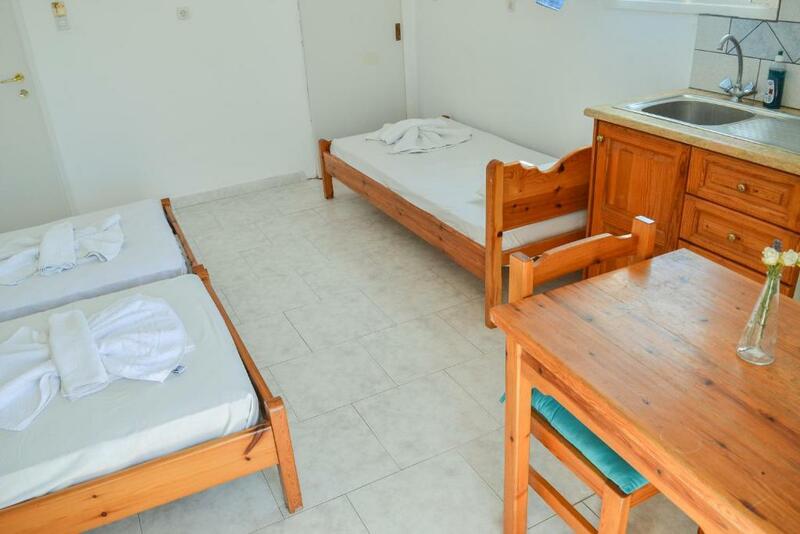 Lock in a great price for Eleftheria Studios – rated 8 by recent guests! Eleftheria Studios is located in Antiparos. Free WiFi access is available. Each studio here will provide you with a TV, air conditioning and a balcony. There is also a kitchenette with refrigerator and hob. The private bathroom comes with a shower. Extras include bed linen. At Eleftheria Studios a free shuttle service and a 24-hour front desk are provided. The property offers free parking. Opening out to a balcony, this studio includes a TV and air conditioning. A kitchenette and a private bathroom with shower are also provided. Free WiFi is available. Eleftheria's Studios belong in a traditional Cycladic building, ideal for families and individual guests. Our studios can accommodate 2 to 3 guests with double and single beds. Eleftheria's Studios are located 250 meters from the port and 100 meters from the nearest beach and very near the main street of the village of Antiparos. 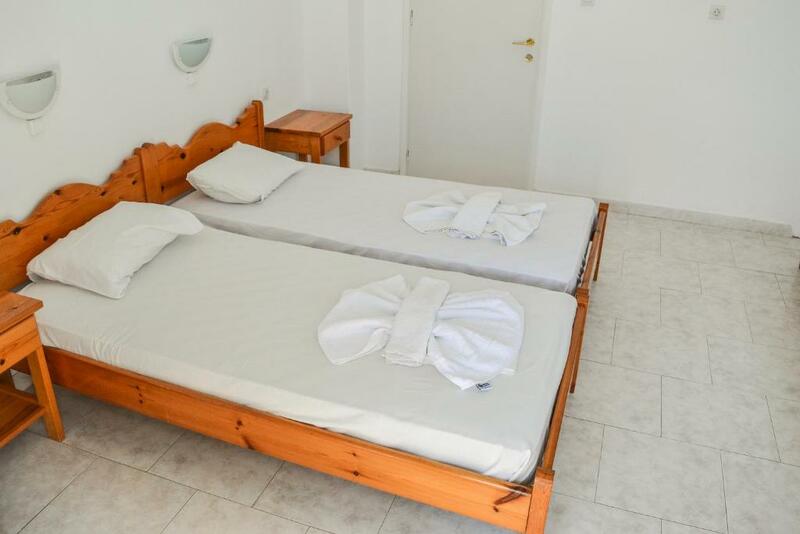 Combine relaxation and swimming in by staying at Eleftheria's Studios! We always try to do the best for our guests! Please inform Eleftheria Studios of your expected arrival time in advance. You can use the Special Requests box when booking, or contact the property directly using the contact details in your confirmation. The bed was quite hard but otherwise I had no complaints.